The primary benefit of an e-commerce website is the opportunity for your customers to find you at any time of the day or night and from any location across the globe. But for the site to take advantage of that 24/7/365 benefit, it has to be able to stay online and accessible all the time. For that reason, it may be in your company’s best interests to consider dedicated server hosting for your ecommerce site. 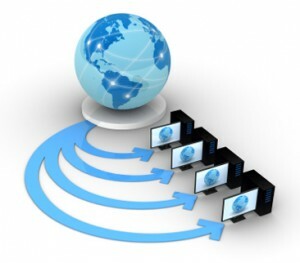 When hosting an e-commerce site, a dedicated server keeps you in control of server resources. Another site can’t use up all available disk space or crash the database with a bad query. That down time can also result in negative publicity. “Your website may be featured in a major publication or nationally syndicated television show, such as a daytime talk show. In this case, business owners may not know they are being featured, and the influx of traffic (potential buyers) may crash the site,” said Eric Nagel, an Internet marketing consultant. In this case, the business has gotten free publicity, but has its doors closed, essentially turning away business and sales because it couldn’t handle the traffic spike. Dedicated servers, especially in a cloud configuration, allow businesses and their e-commerce managers control system resources and scale up for these heavily trafficked times, Nagel pointed out. Having the dedicated server means you can rely on uptime during those critical peak shopping times. Overall, it’s about control. With a dedicated server, you’re in complete control and another website or bad programmer can’t affect your website’s uptime and sales during a traffic spike.